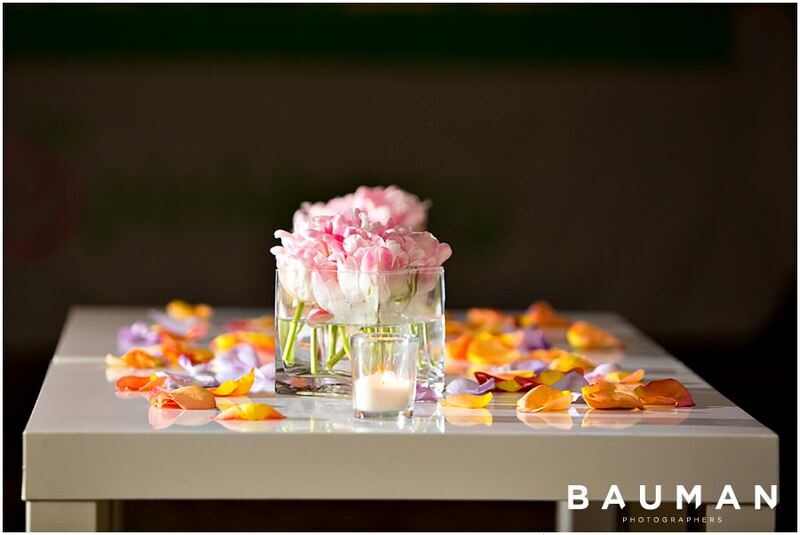 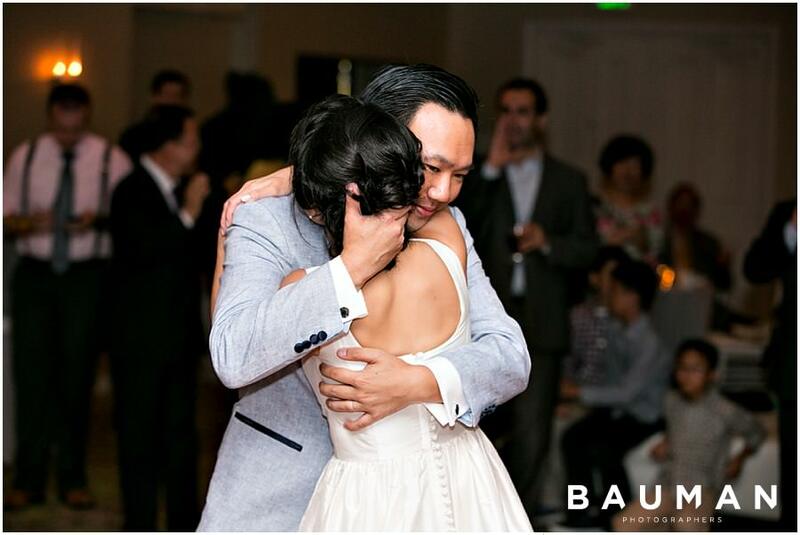 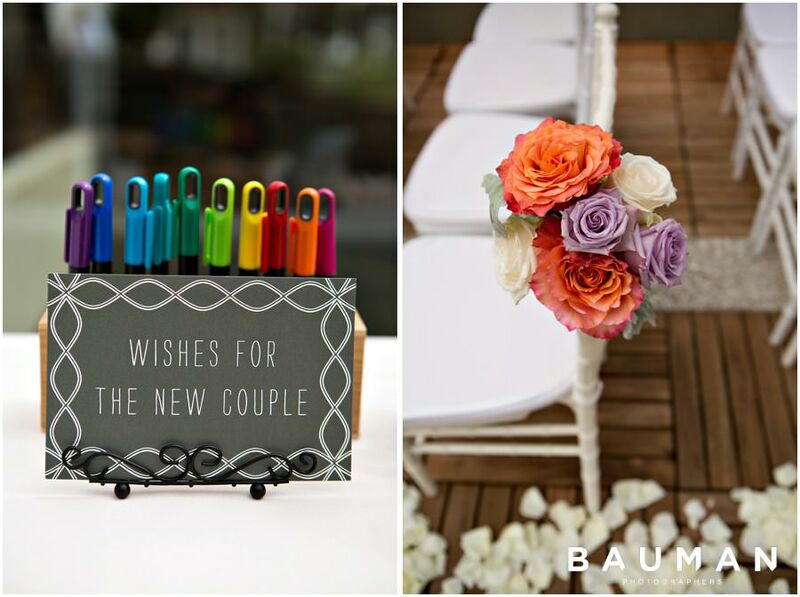 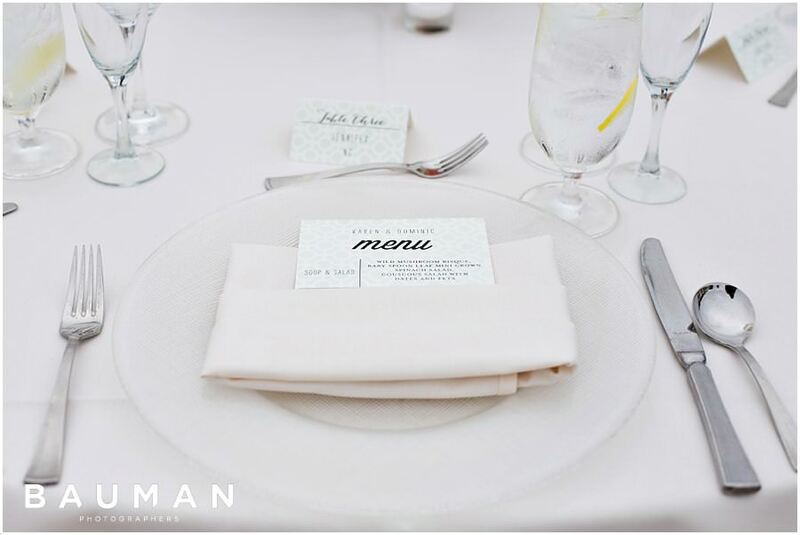 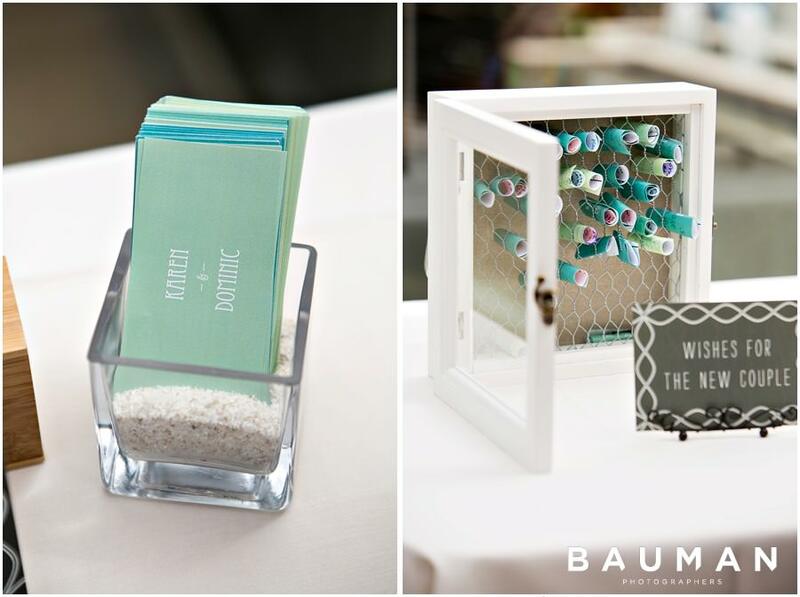 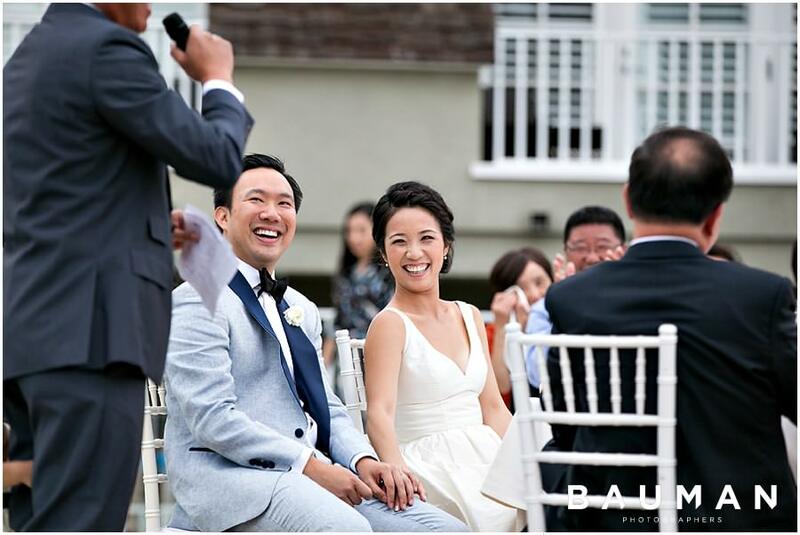 The couple hosted family and friends from across the globe for their intimate wedding. 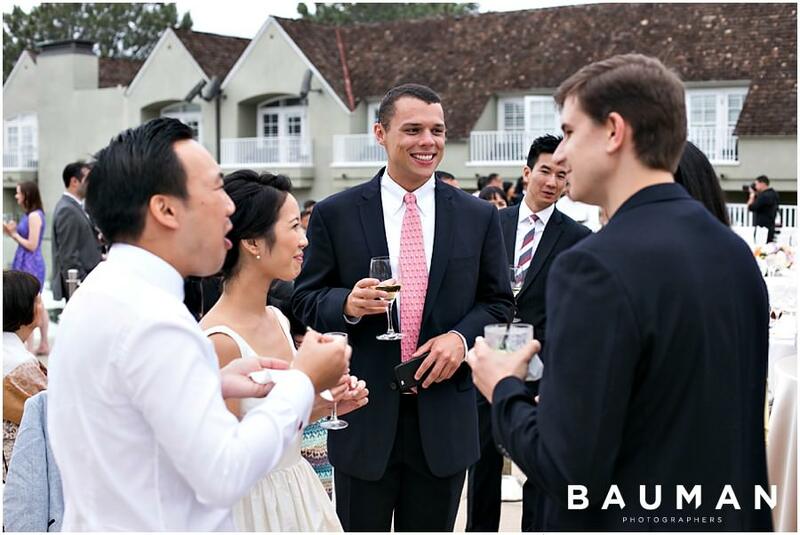 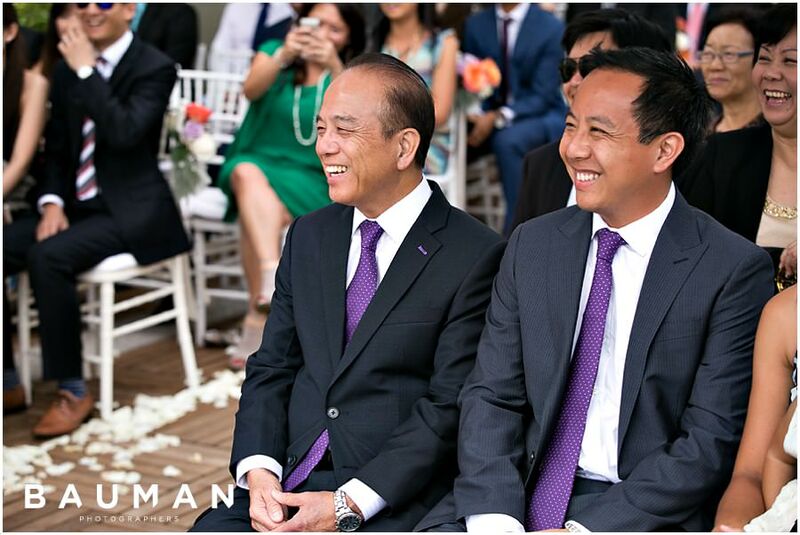 Guests travelled from New Orleans, Los Angeles, Asia, Europe and even Australia to celebrate with them. 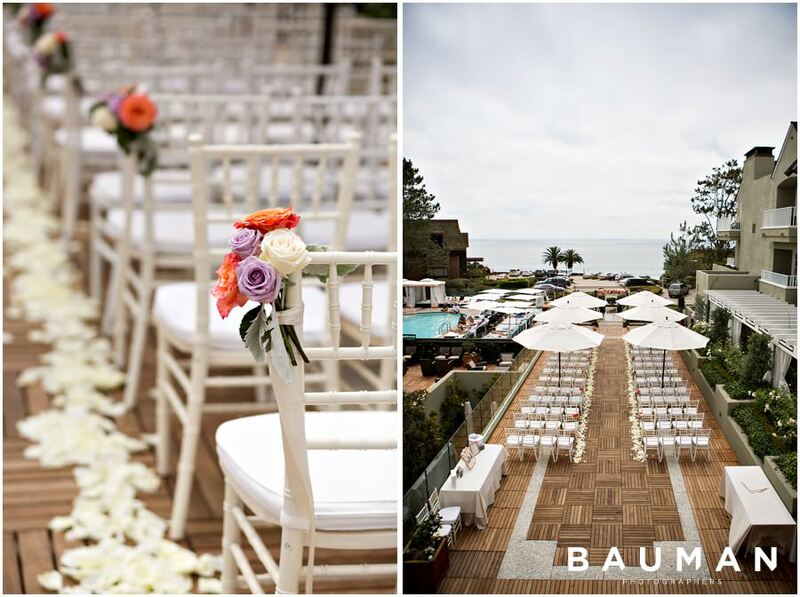 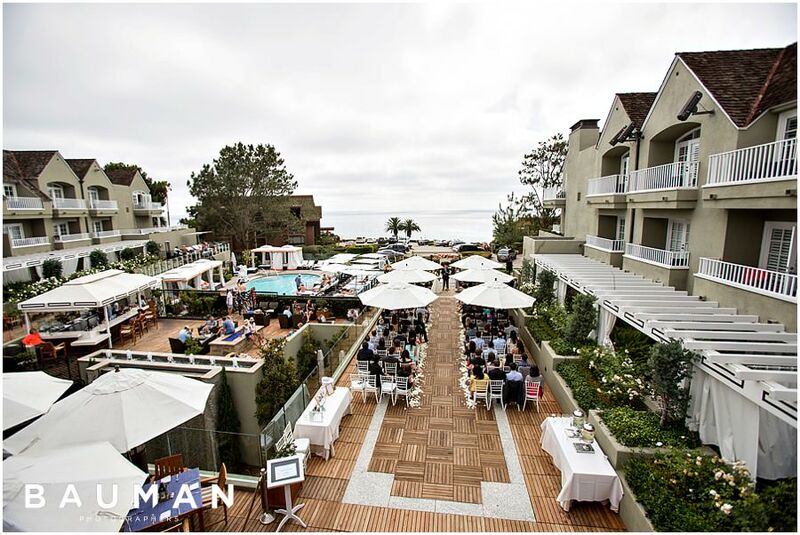 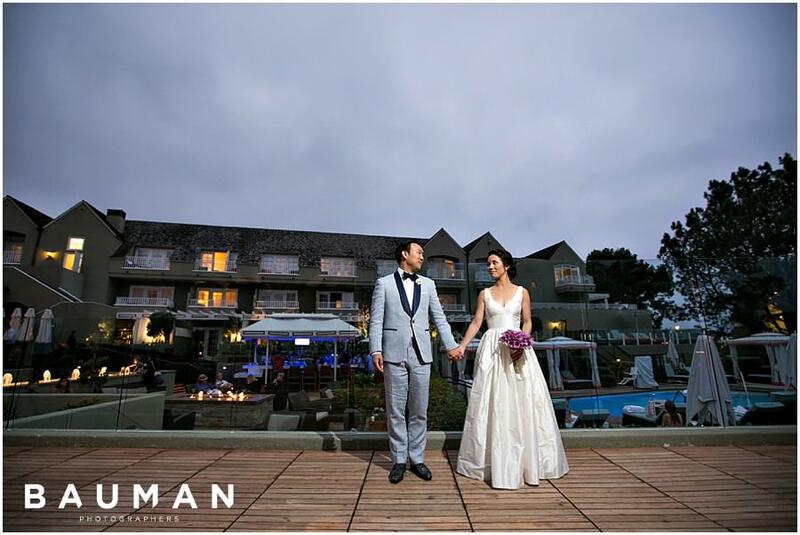 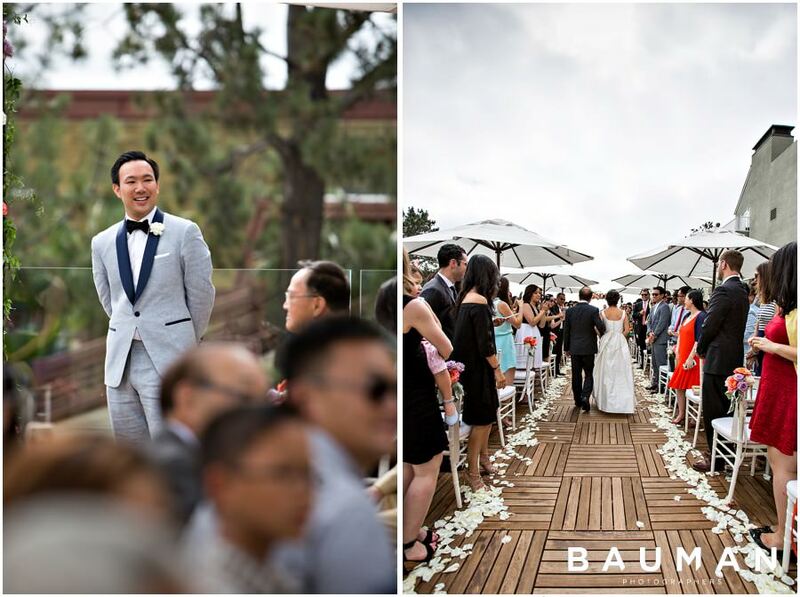 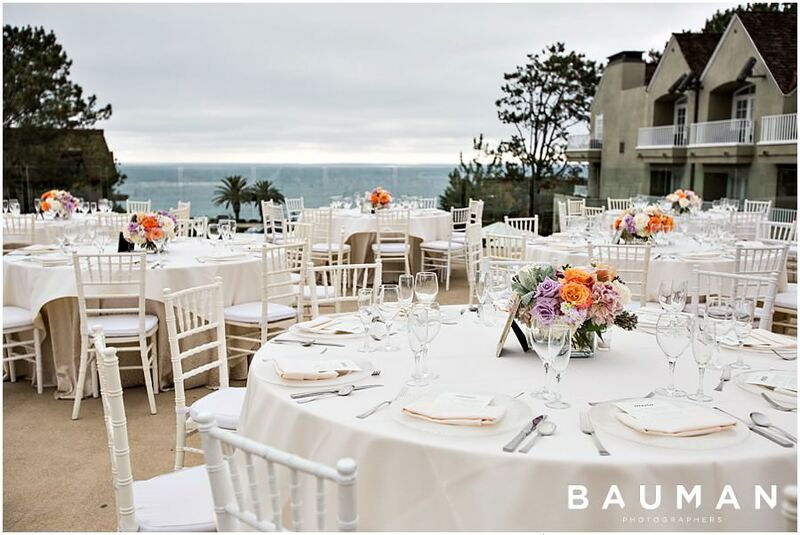 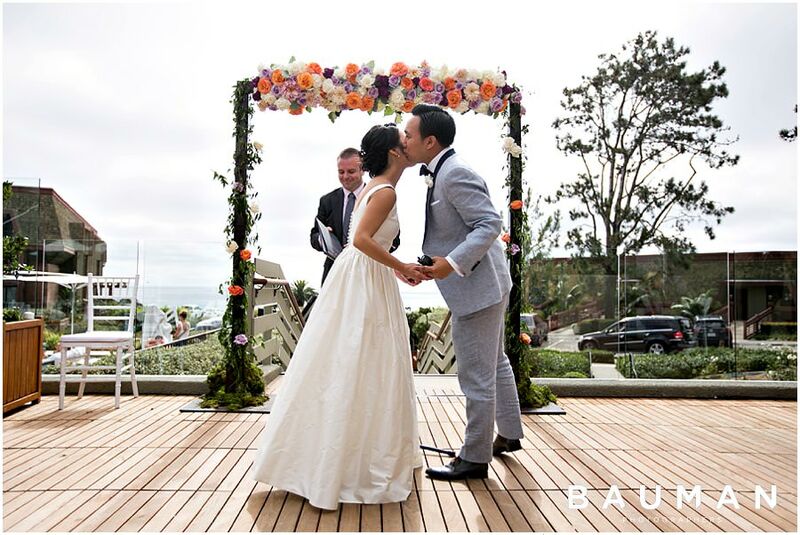 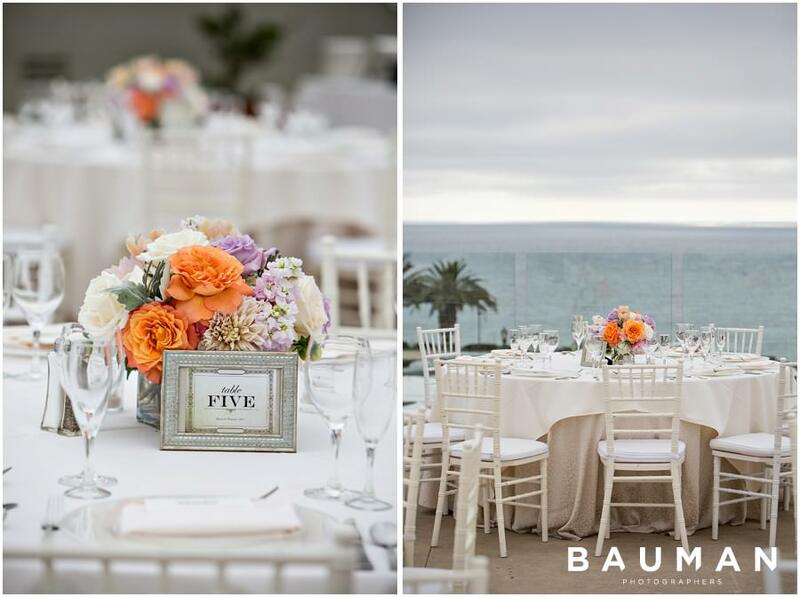 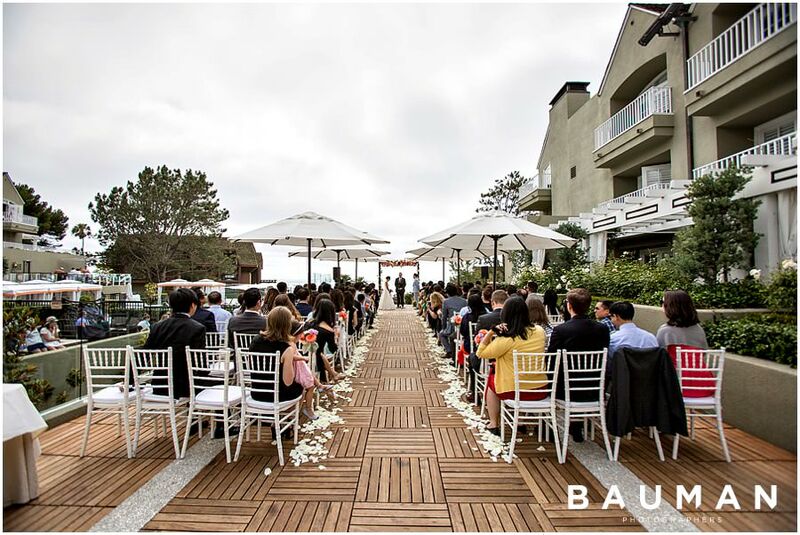 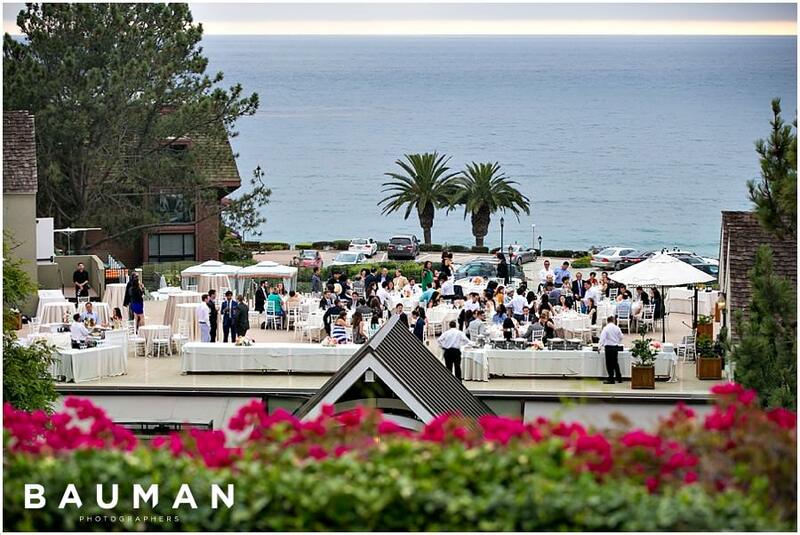 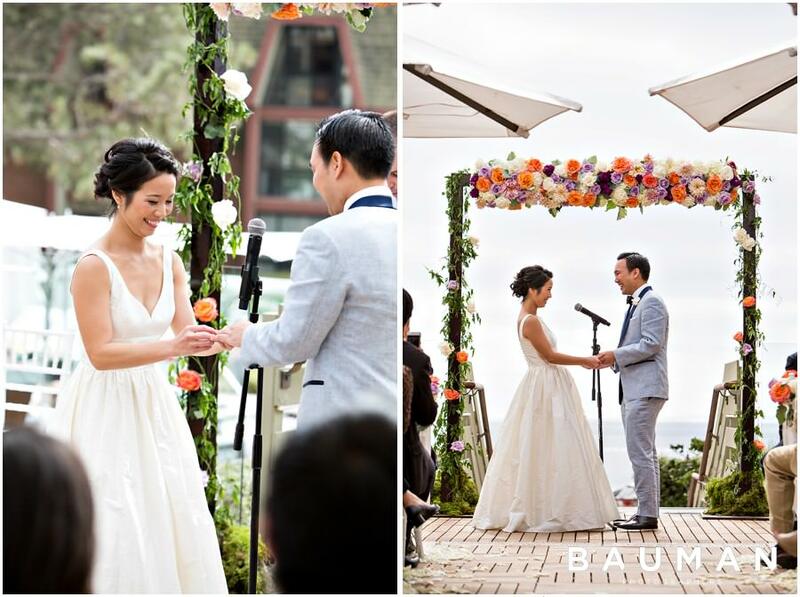 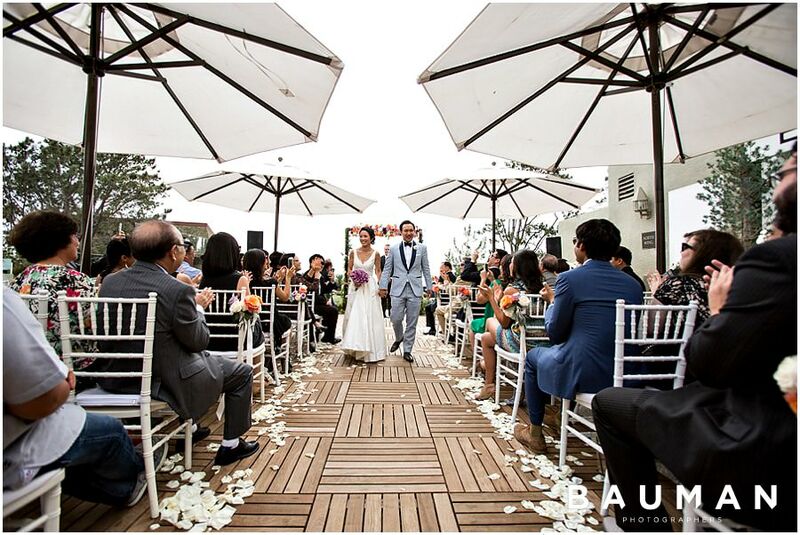 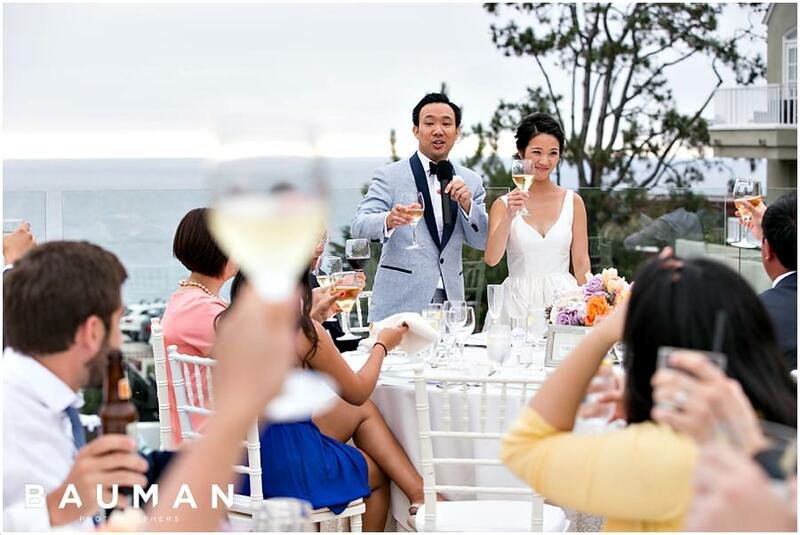 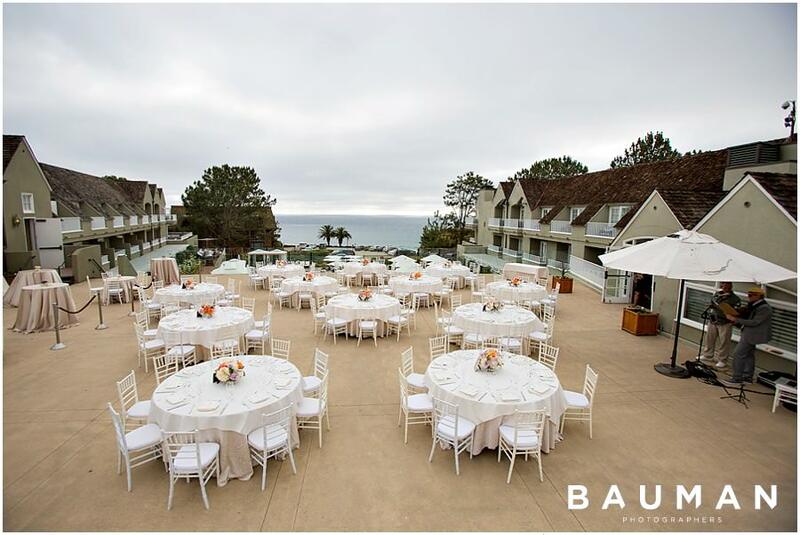 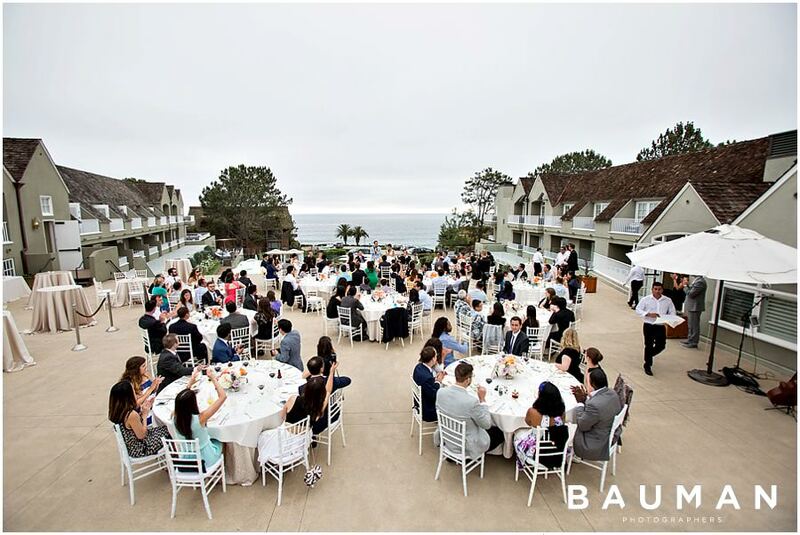 A casual and quiet morning at the serene L’Auberge Del Mar flowed into a beautiful seascape-backed ceremony. 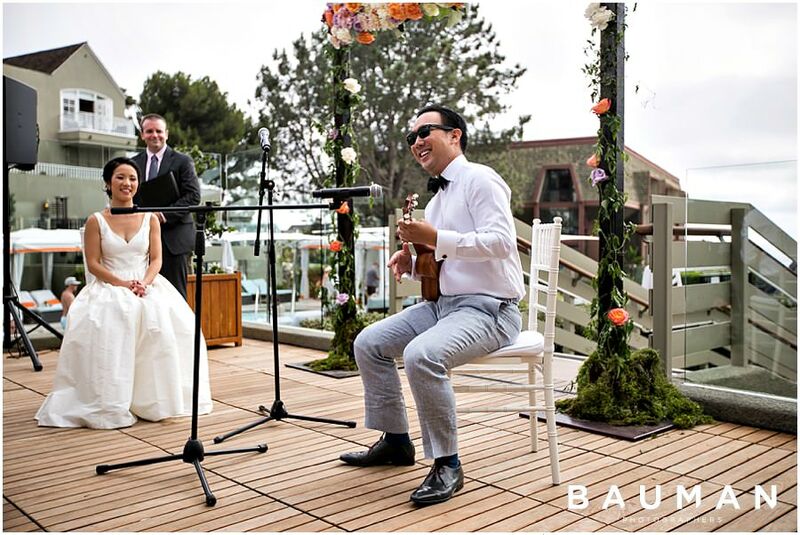 In another break from tradition, Dominic serenaded his bride with his vows while playing the ukulele. 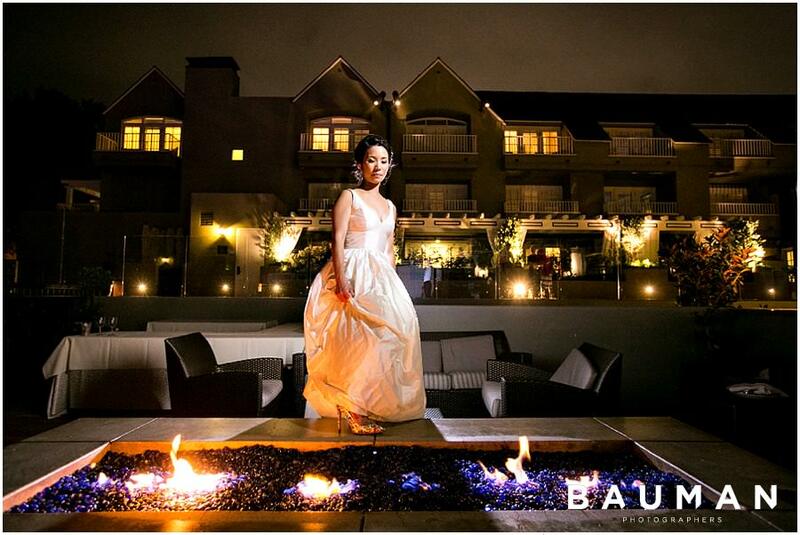 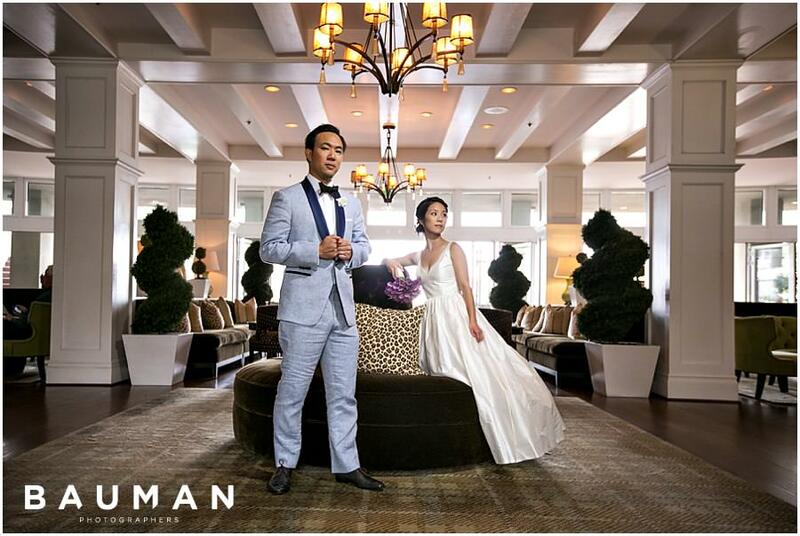 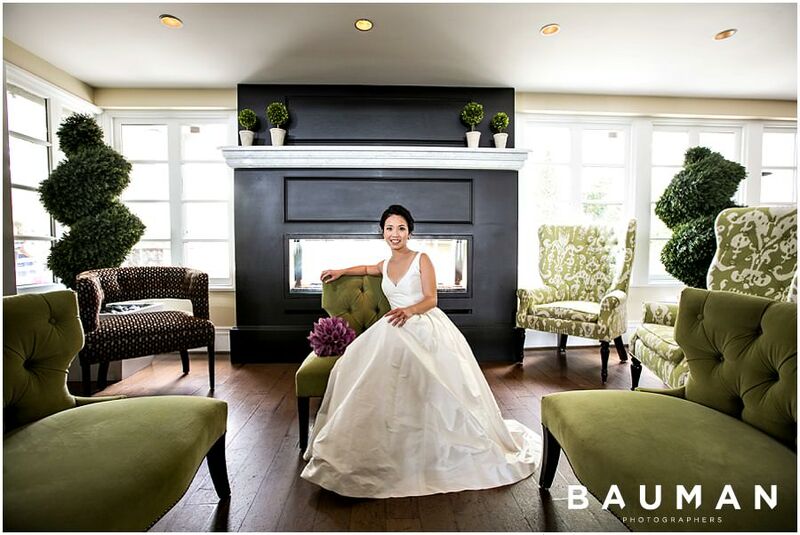 Given some of their avant-garde elements, we created some high-fashion, editorial type images in the stunning lobby of the hotel. 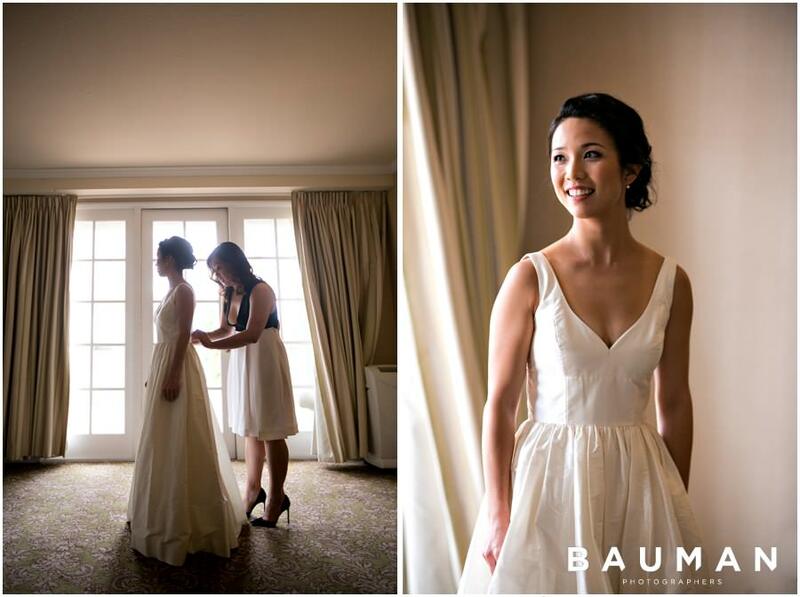 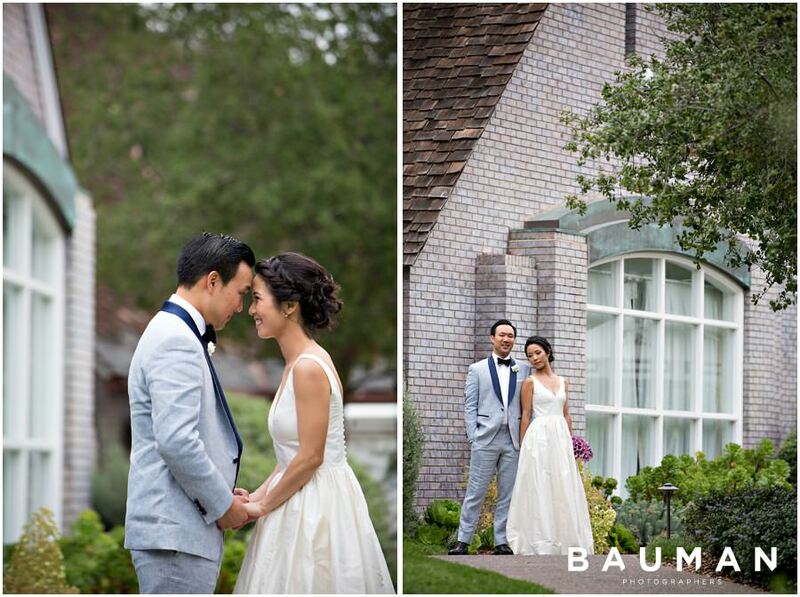 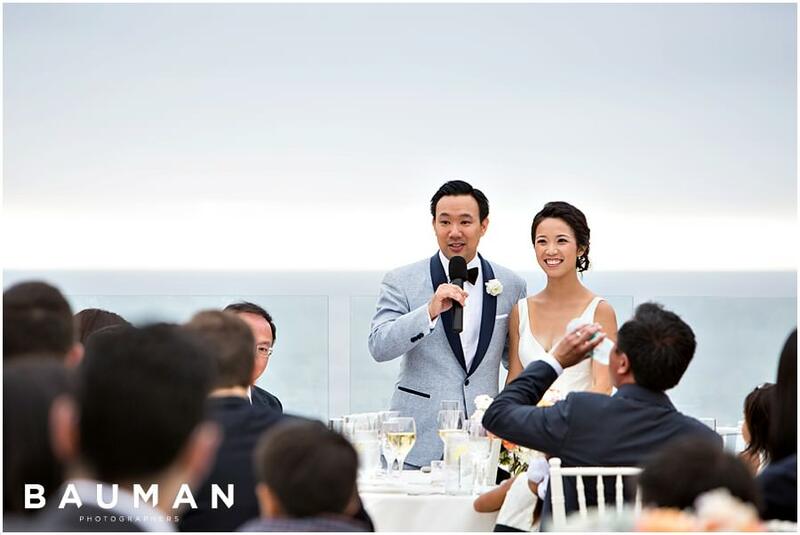 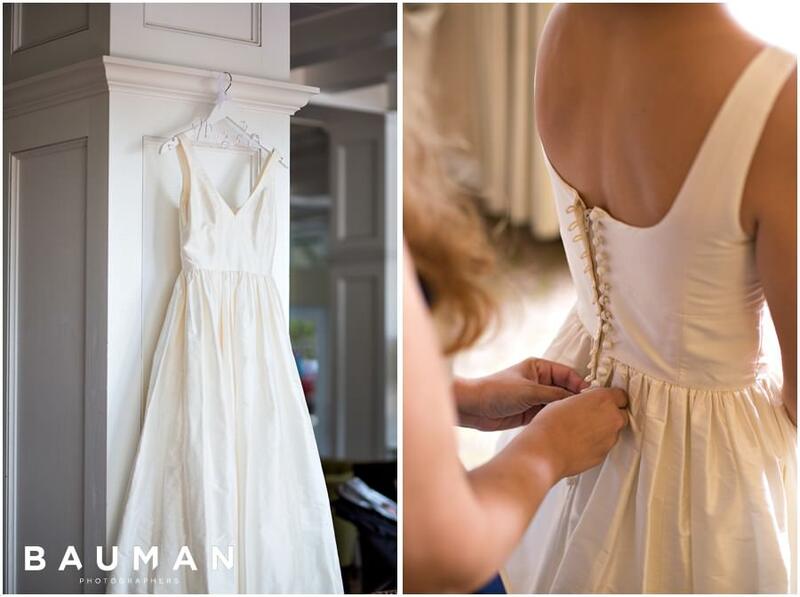 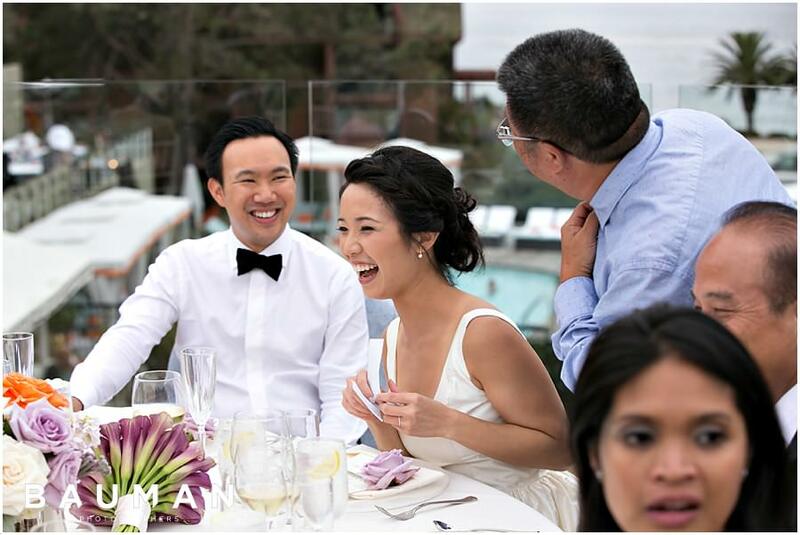 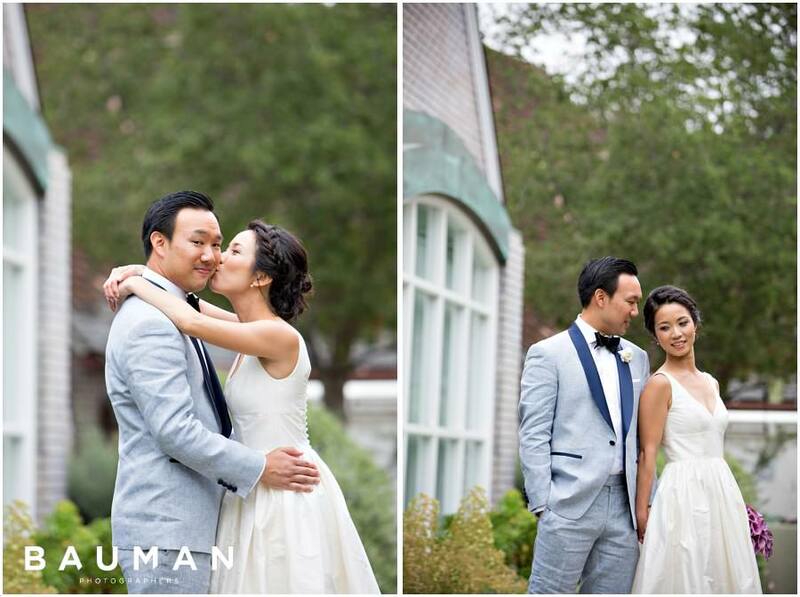 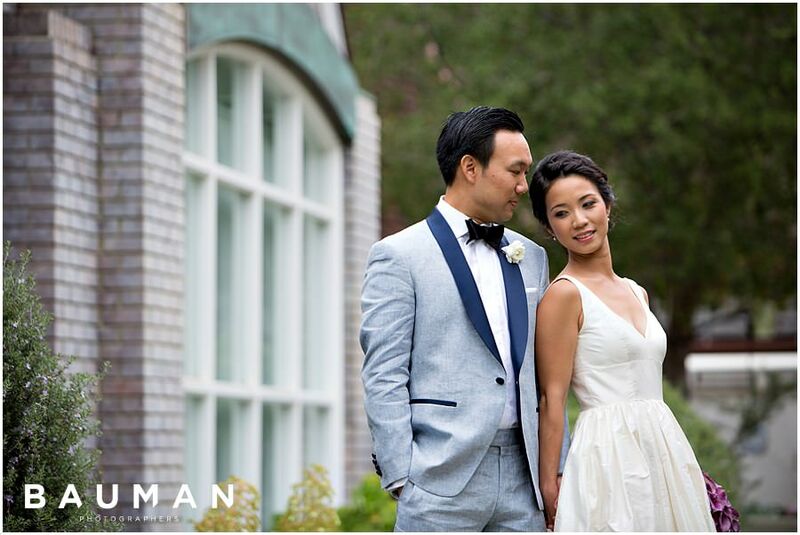 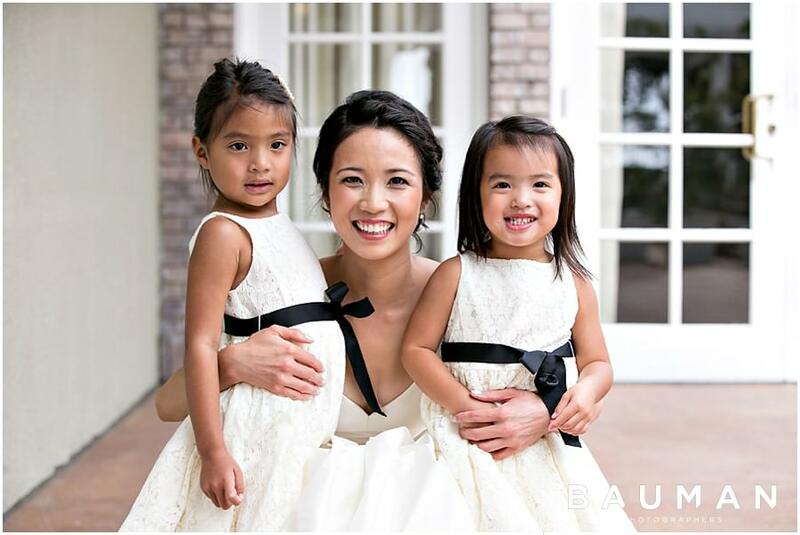 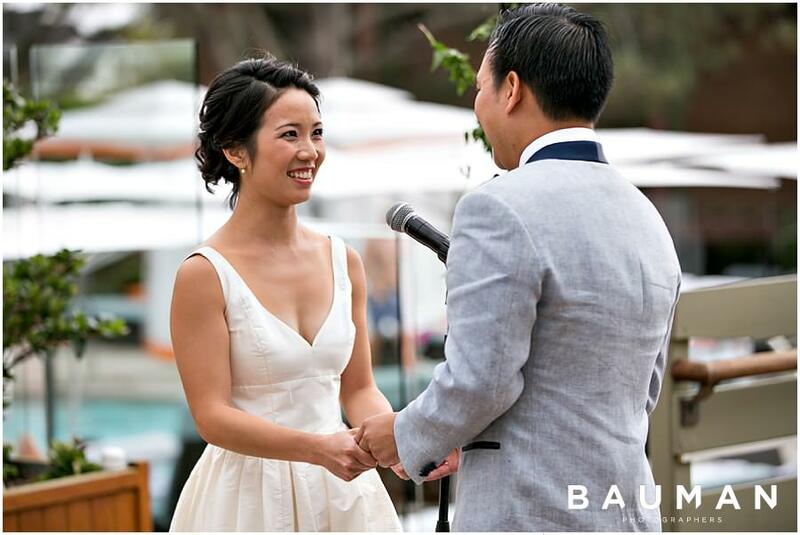 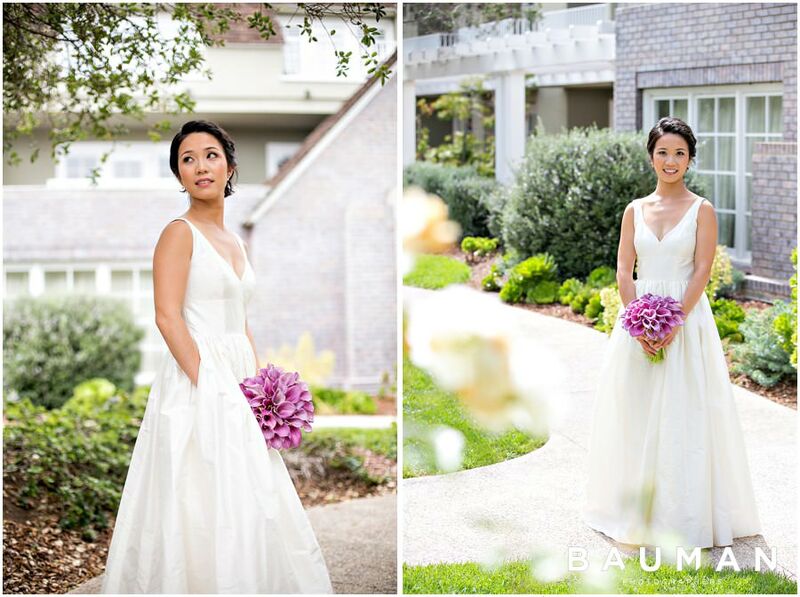 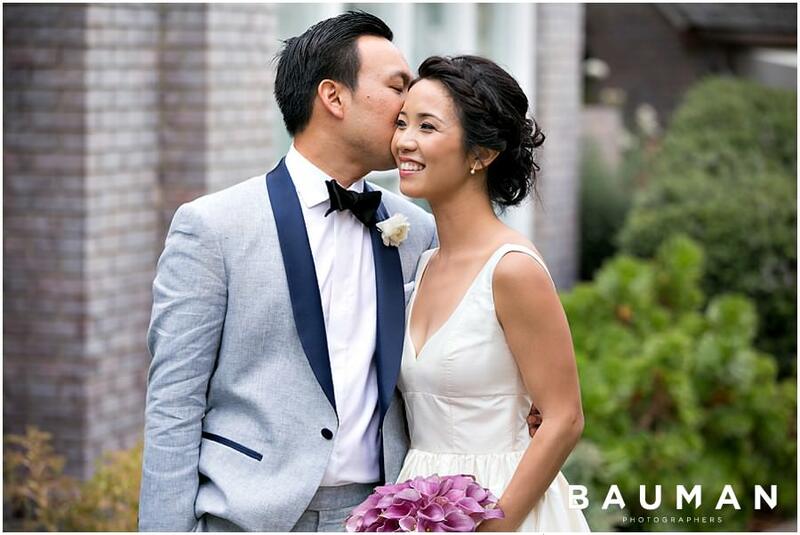 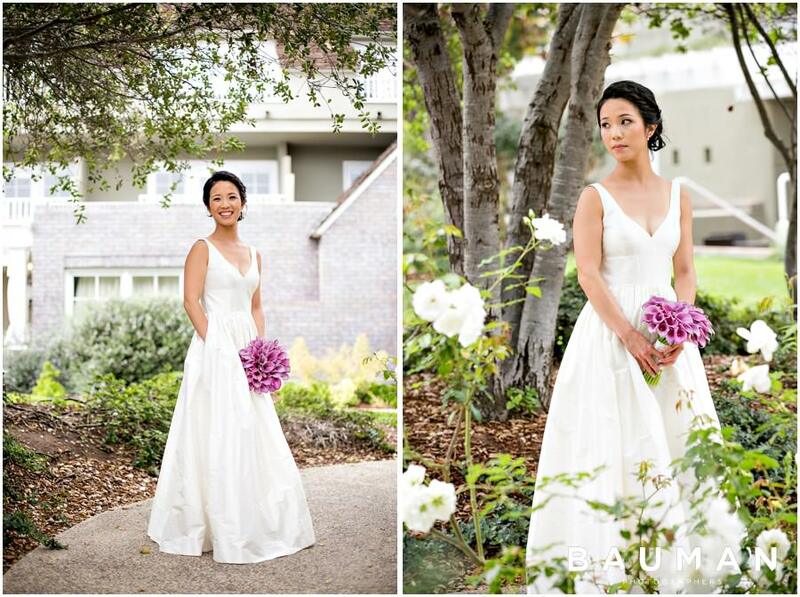 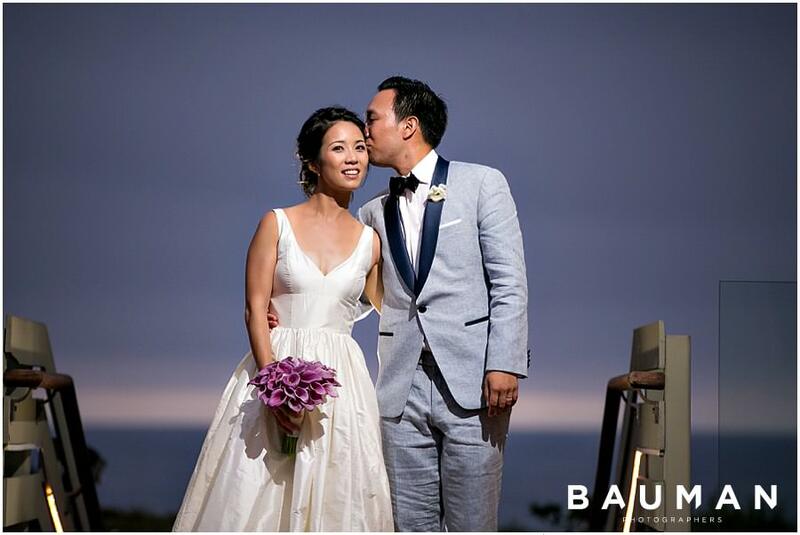 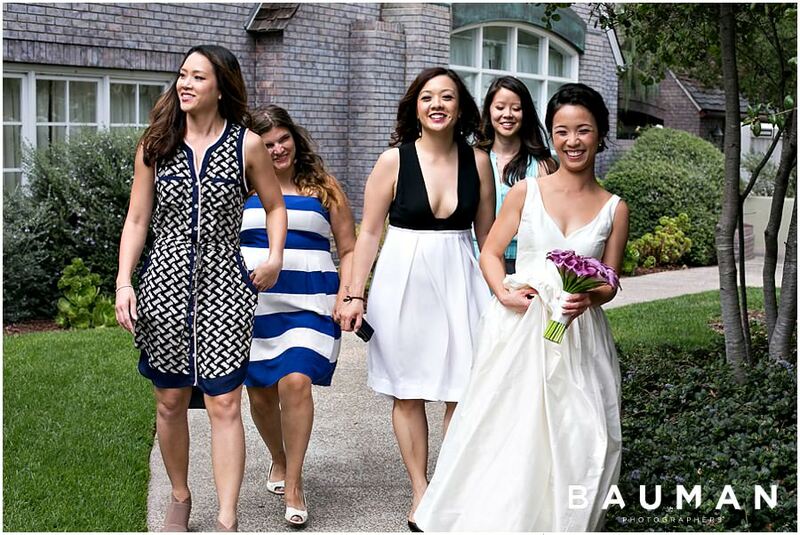 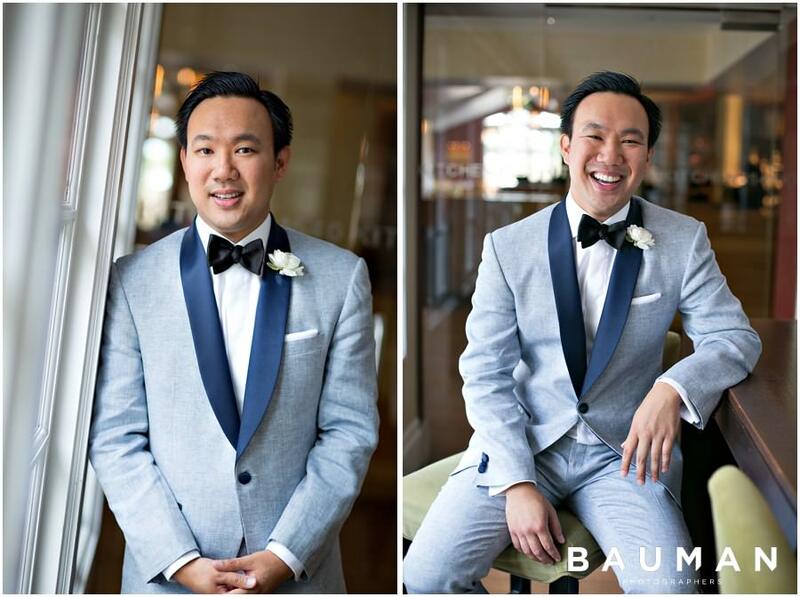 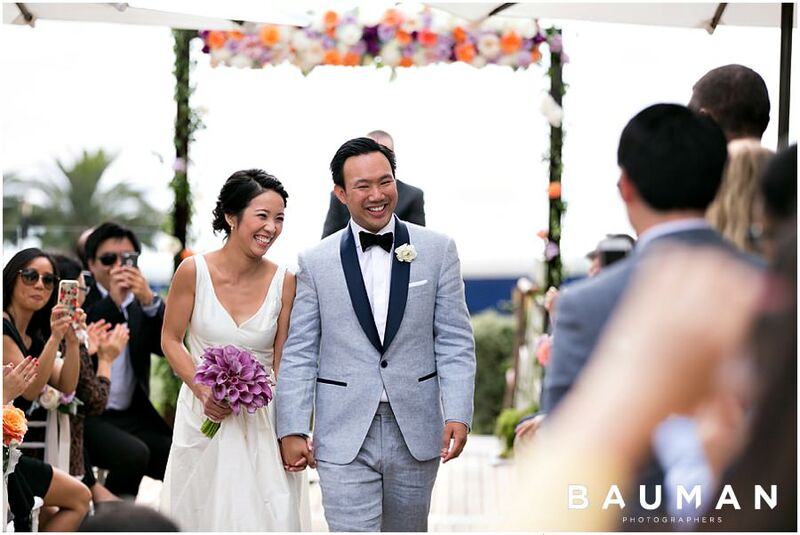 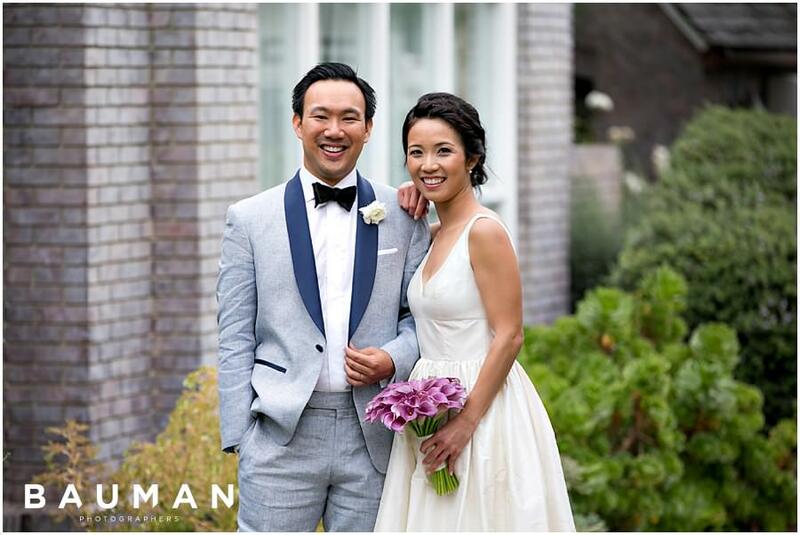 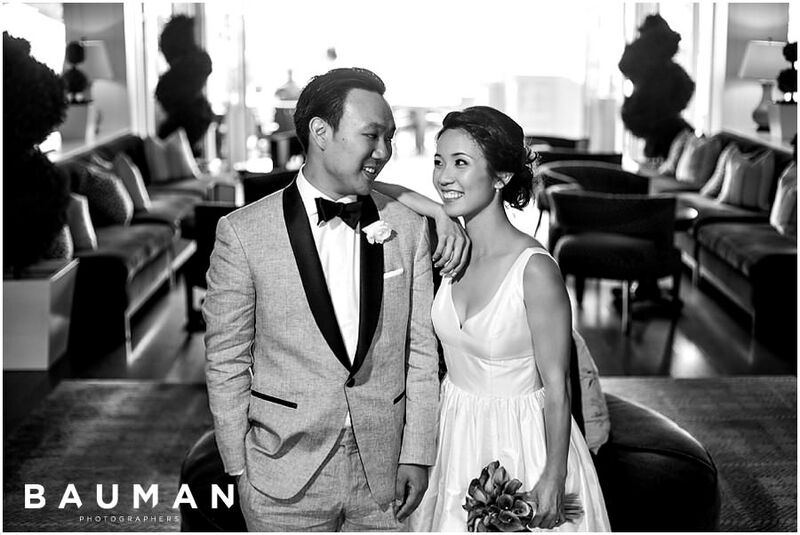 Karen was relaxed in her breezy and adorable J.Crew gown while the groom set himself apart with a custom two-tone twill suit. 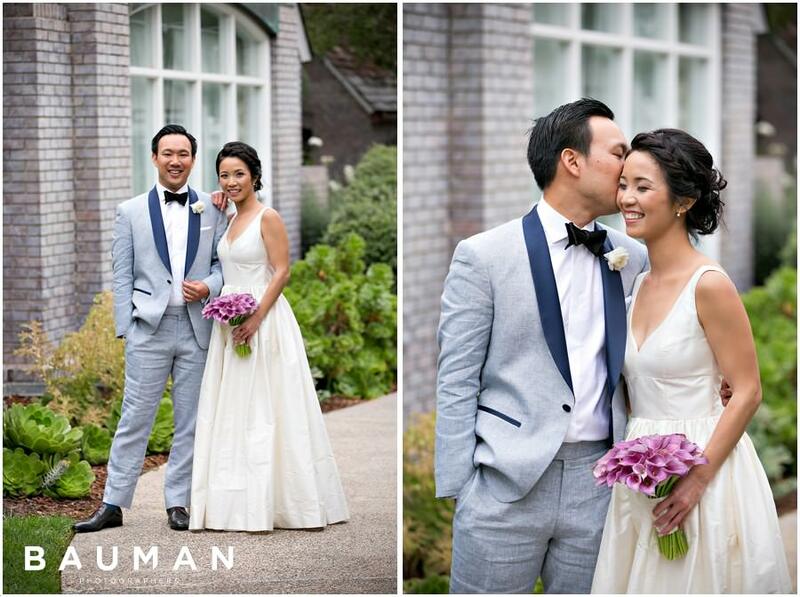 They were effortlessly stylish, looking like models in the final images. 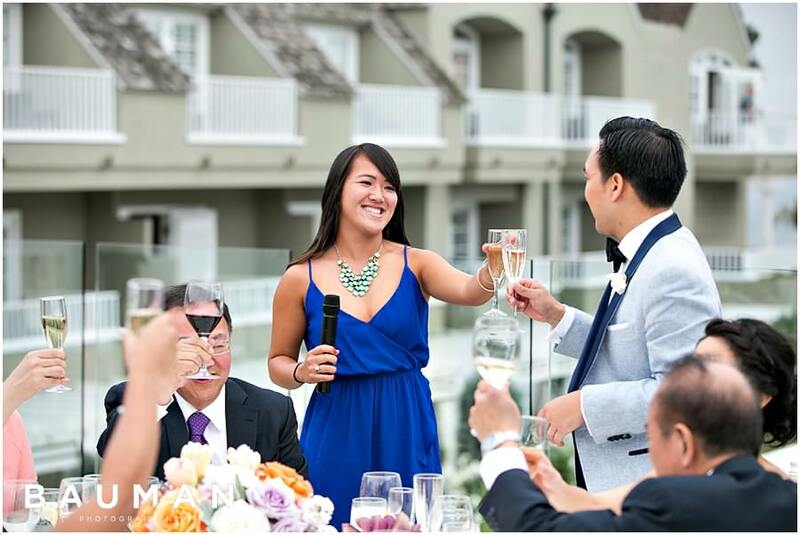 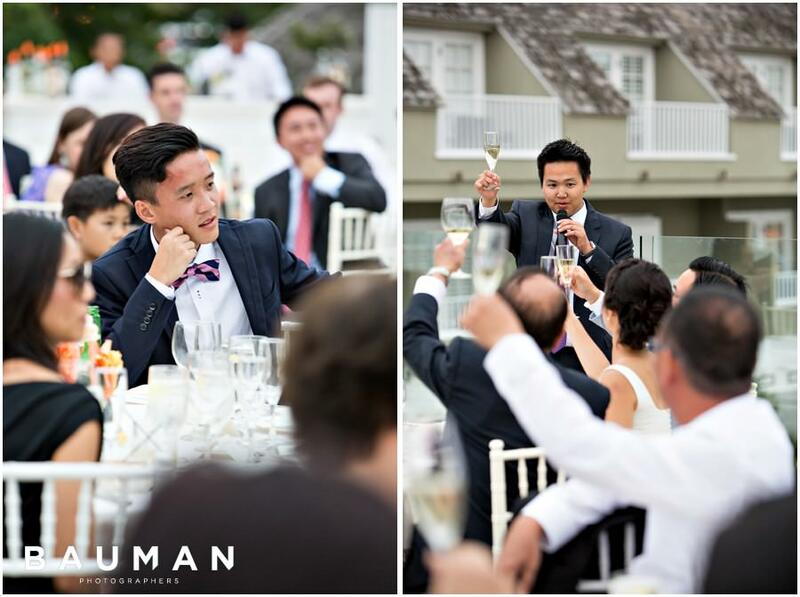 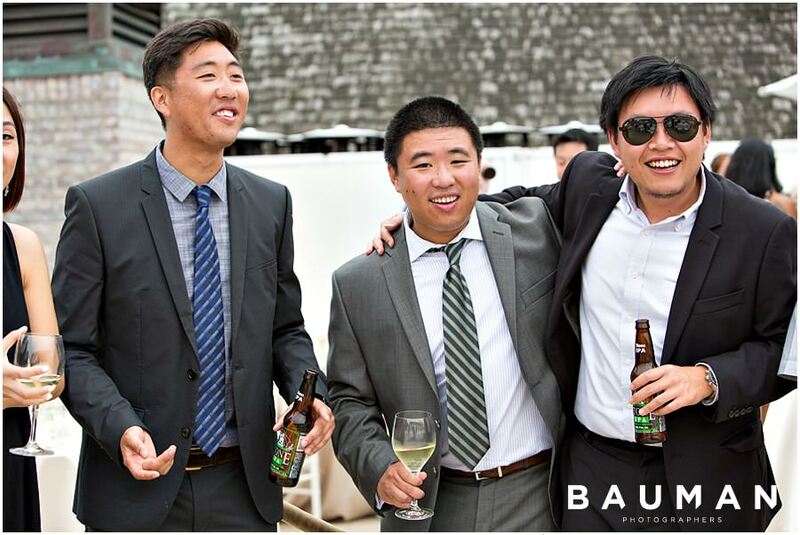 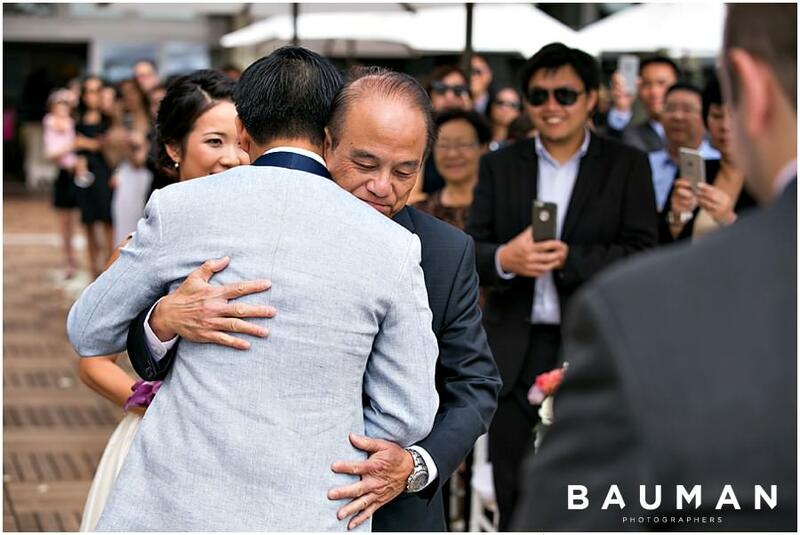 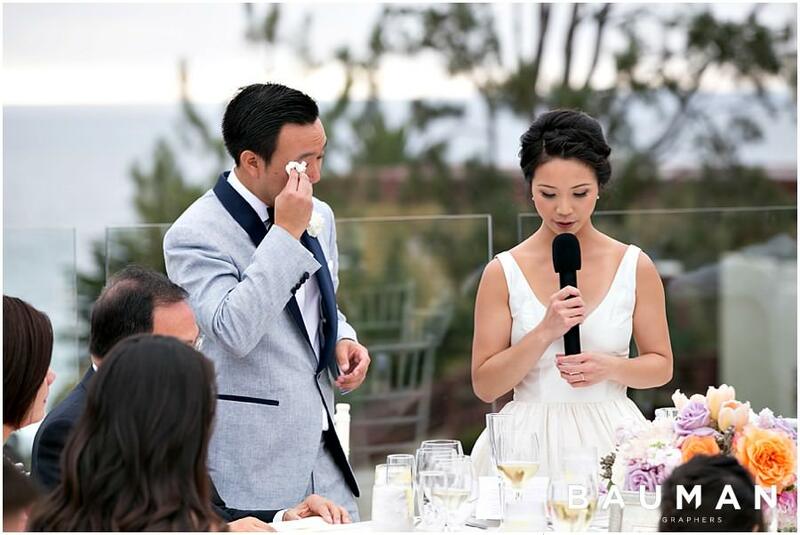 Both the bride and groom have suffered unexpected losses in their families, so the ceremony and toasts were particularly emotional. 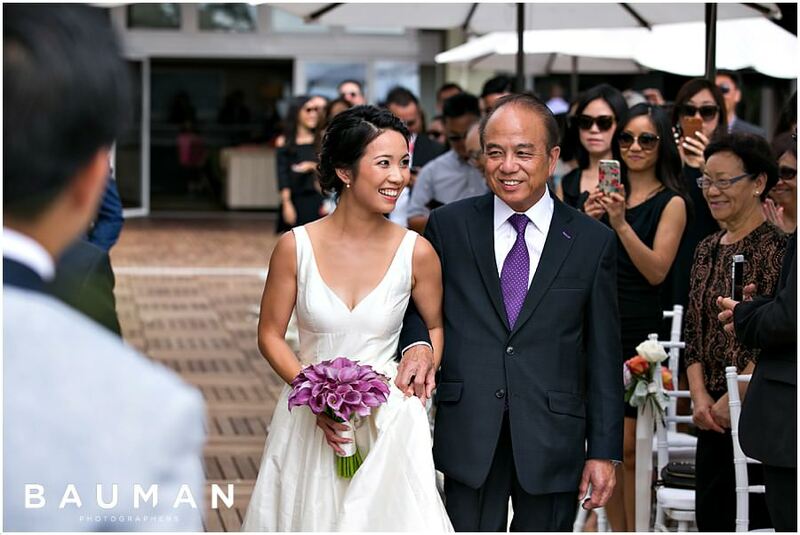 In a touching gesture, Karen and Dominic decided to honor their loved ones by raising funds for cancer research in lieu of gifts. 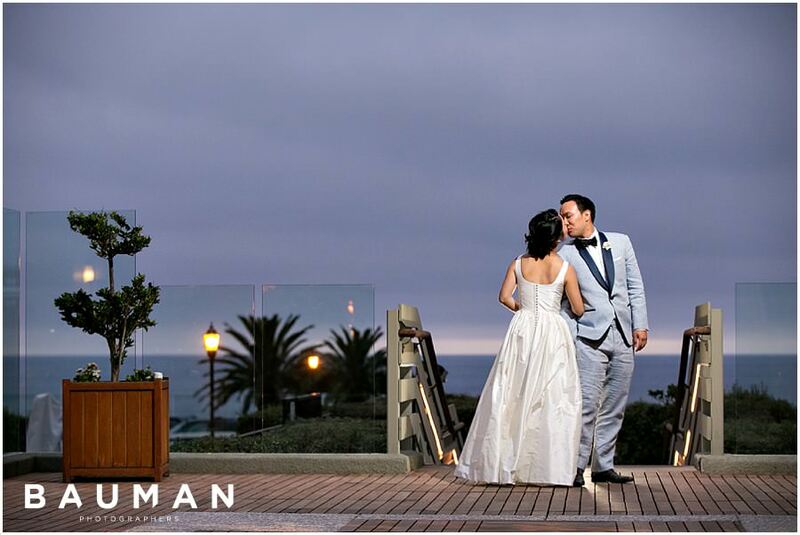 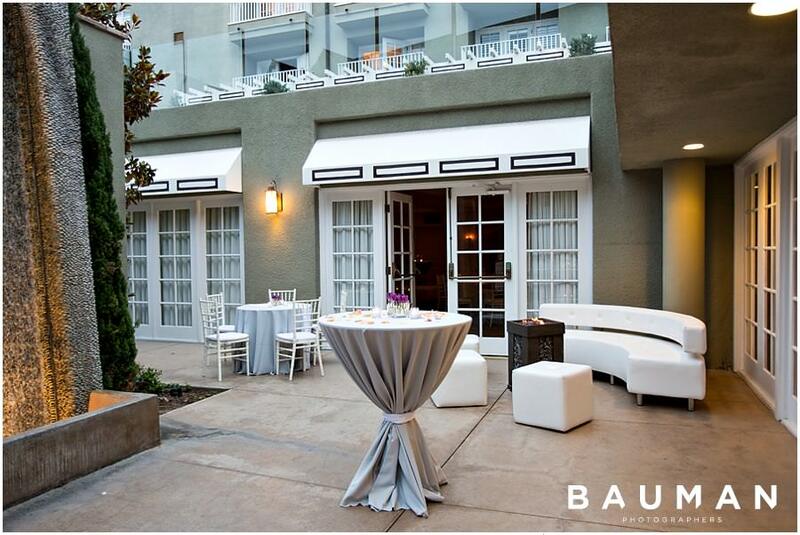 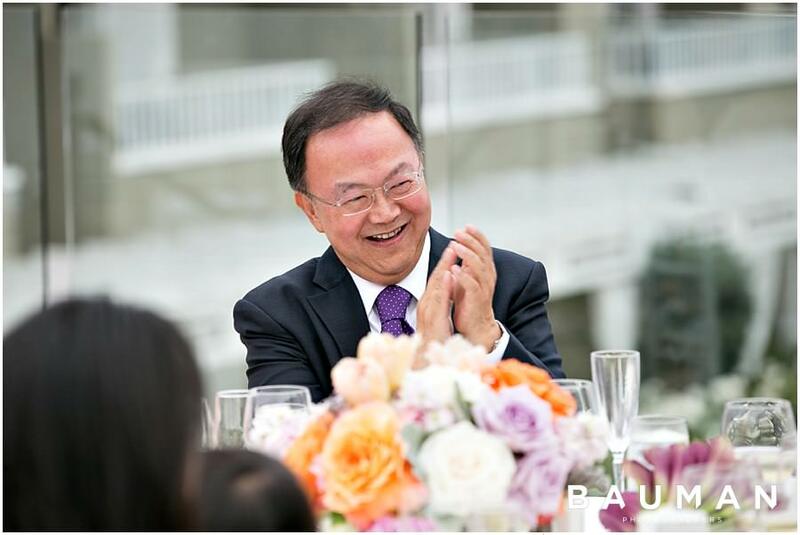 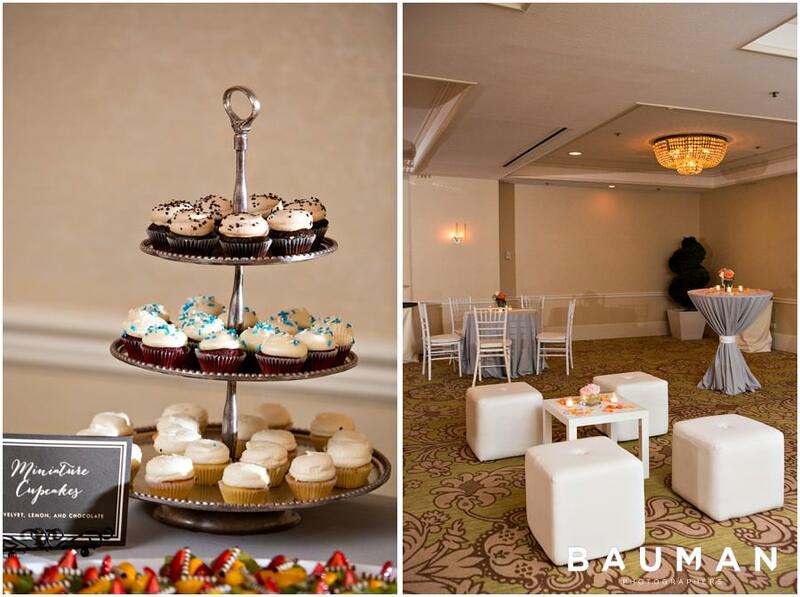 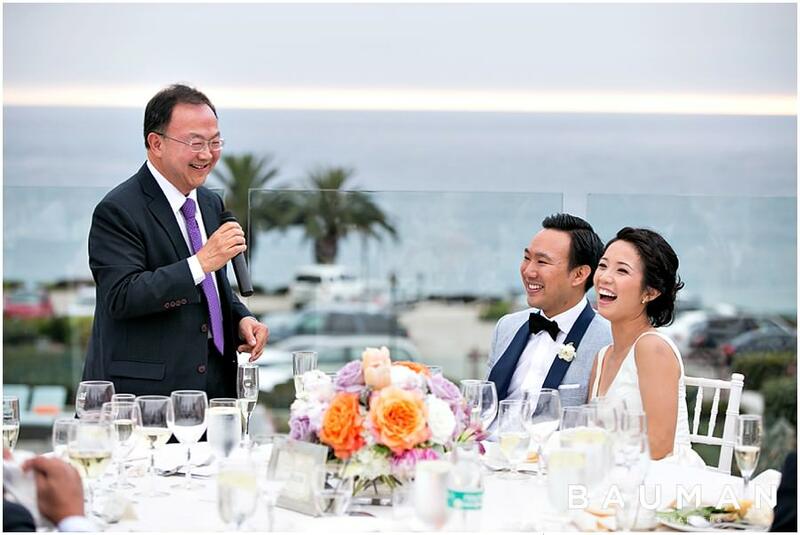 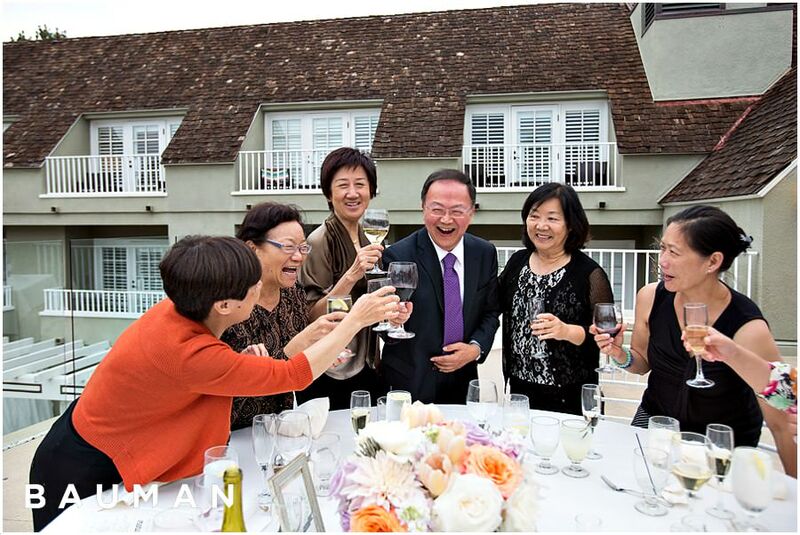 As the sun went down, the reception was filled with smiles, laughter, dancing and fun. 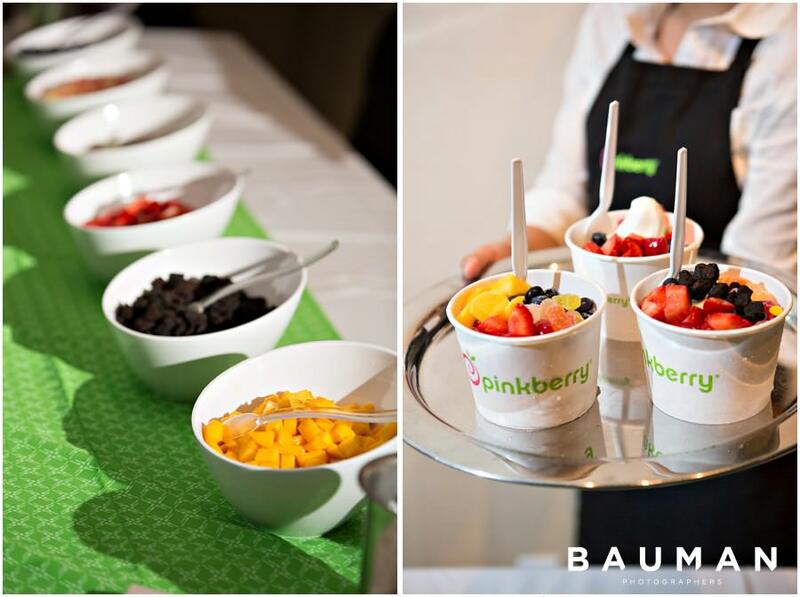 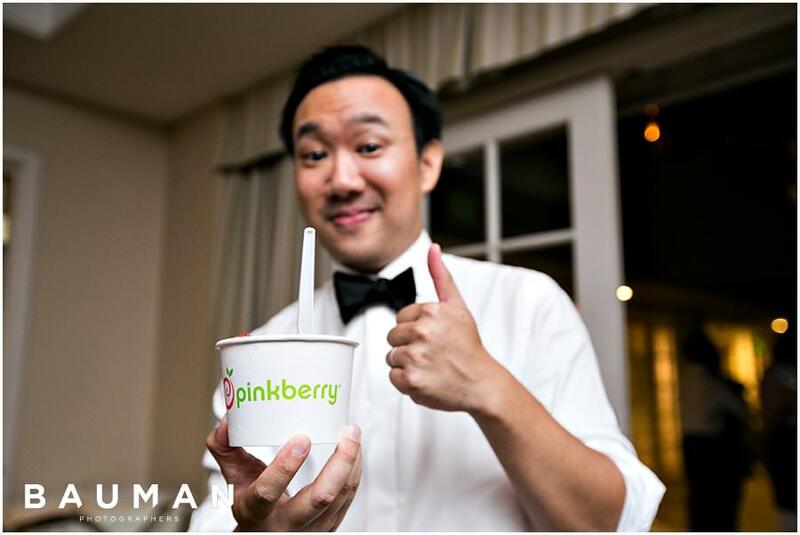 And really- what could be more fun than a Pinkberry build-your-own-sundae bar? 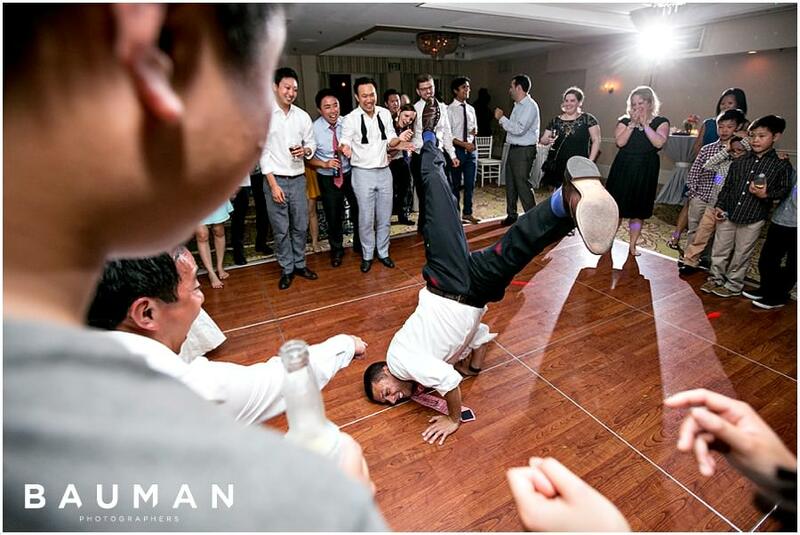 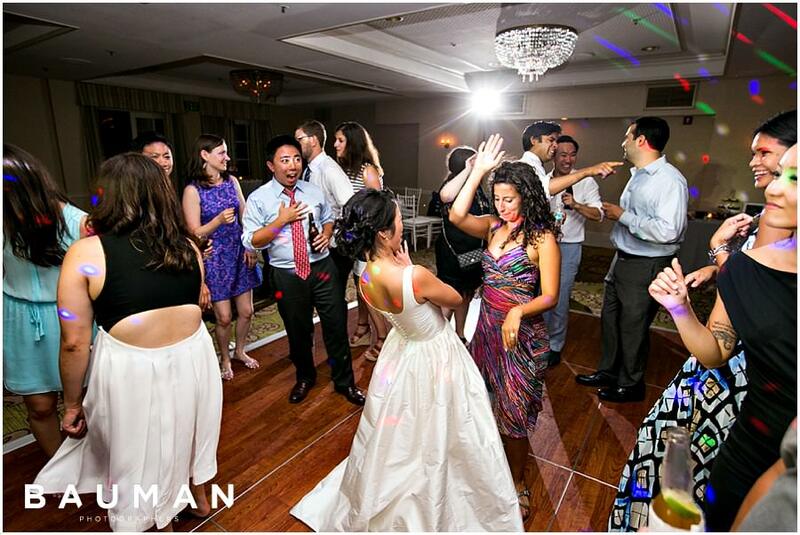 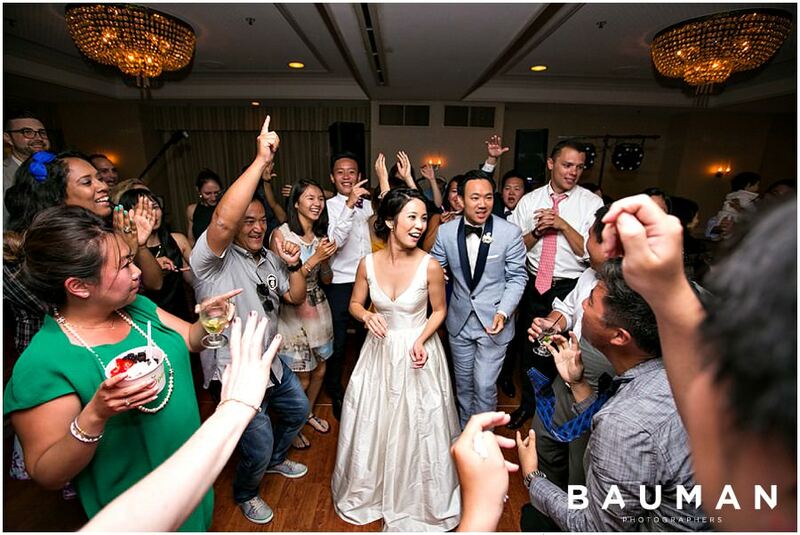 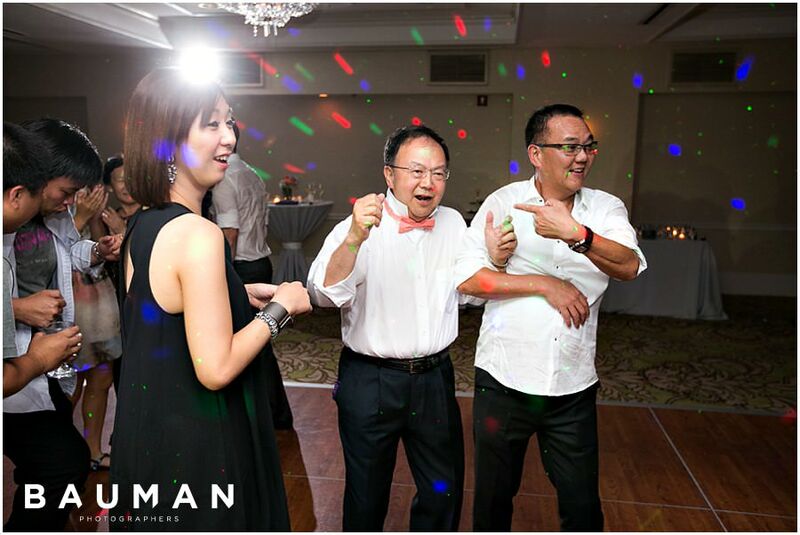 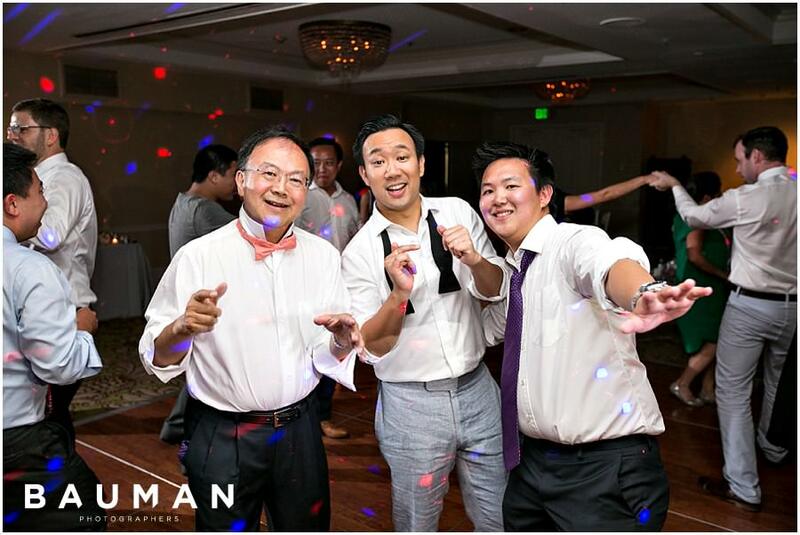 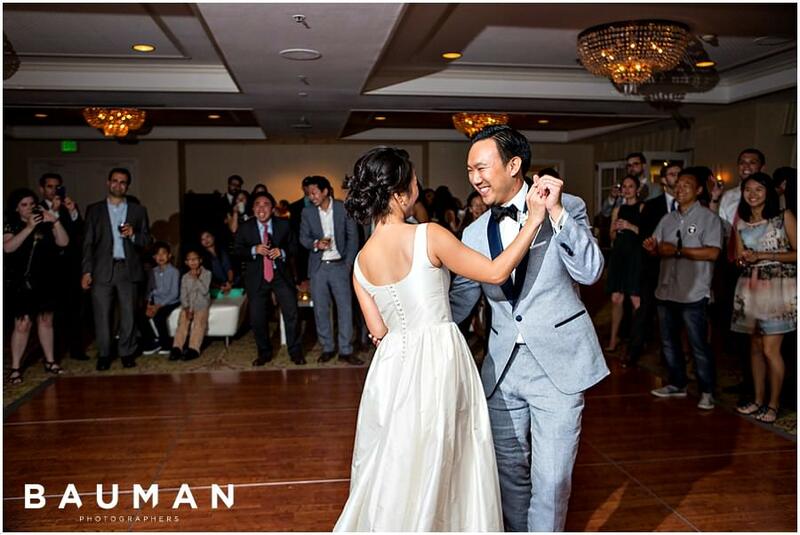 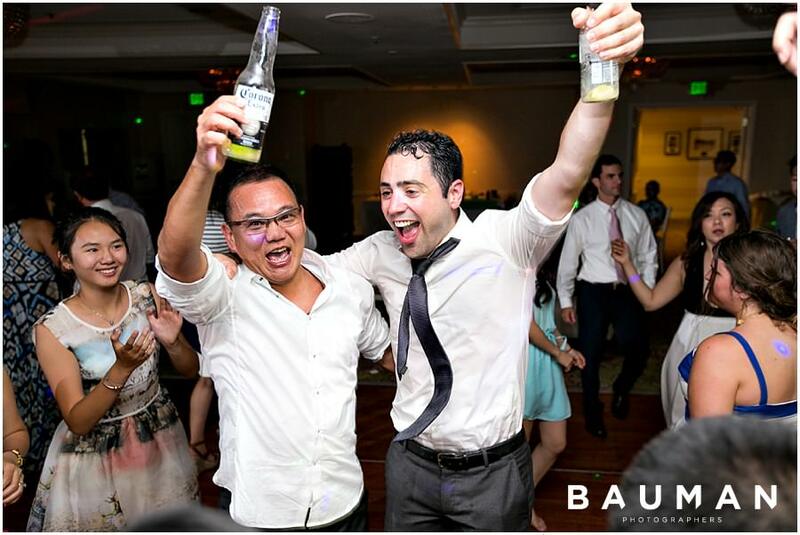 Karen, Dominic and their friends had a blast on the dance floor, and let’s be honest, so did we! 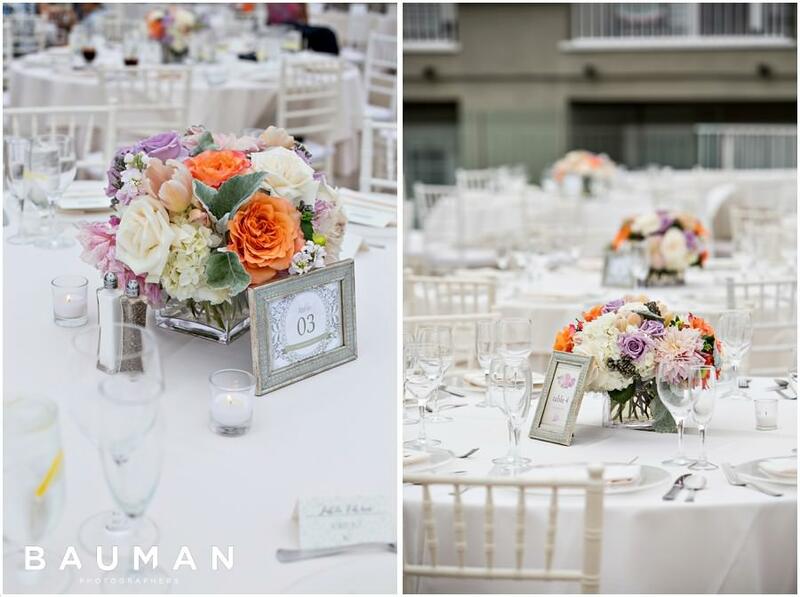 We’re so pleased to be able to share the images from this wonderful event. 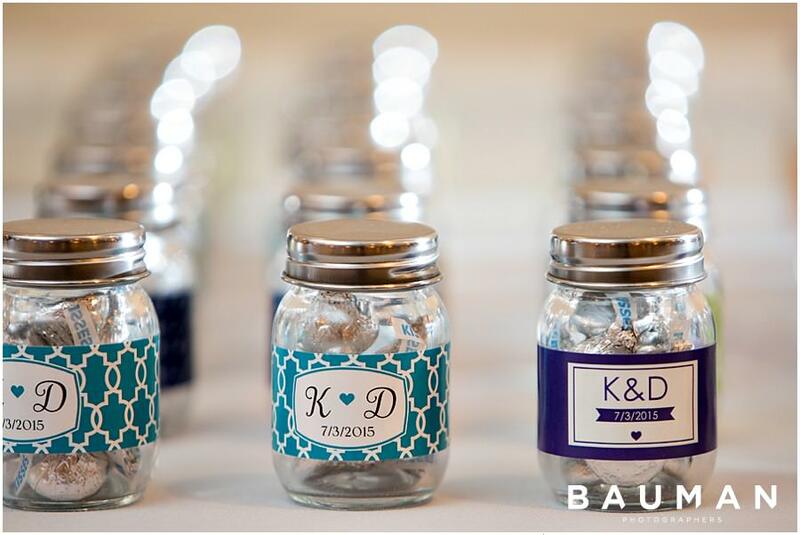 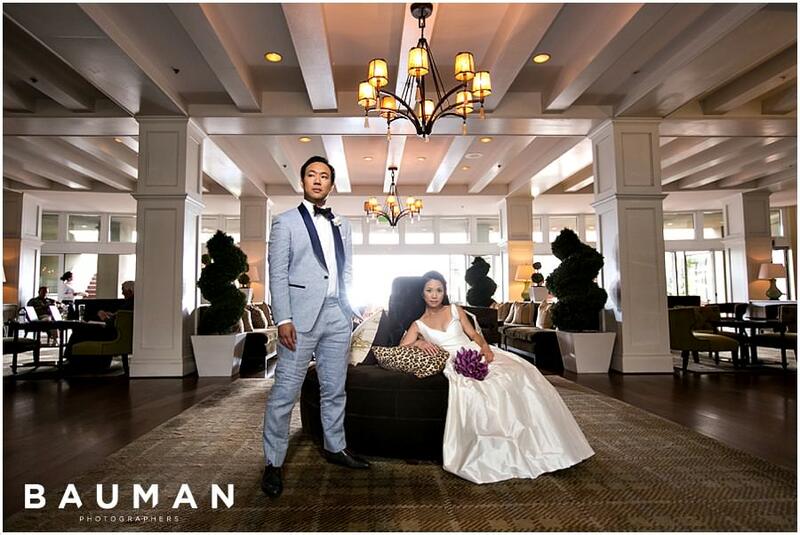 Congratulations Karen & Dominic, we wish you the best of luck in your future together!